Please tell Mrs. S.3 for me that if she can I will be over to spend the night next Monday night. Perhaps we can begin to trim the tree then. The McClungs4 are going to have a tree this year and I shall have to help them trim theirs Wednesday night. I dont want to break our old custom5, as I have grown to count on it, so I will come to you Monday night, if that suits. 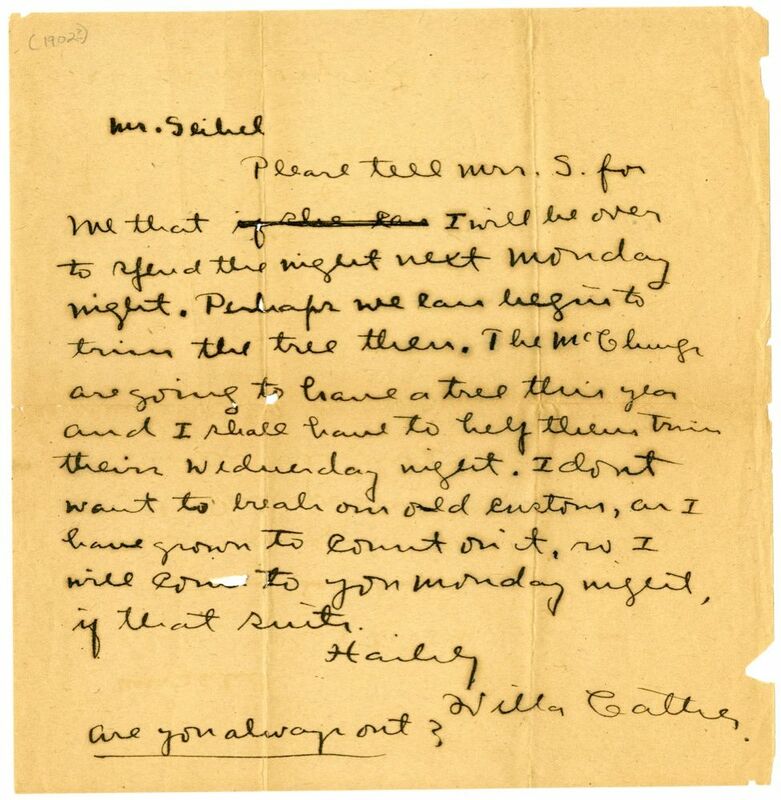 Cather wrote this letter while living with the McClungs, which she did from 1901 to 1906. Christmas trees were usually decorated on or shortly before Christmas Eve, December 24. The Monday and Wednesday tree decorating days Cather mentions were closest to Christmas Eve in 1902 and 1903; in 1902 Wednesday was Christmas Eve. 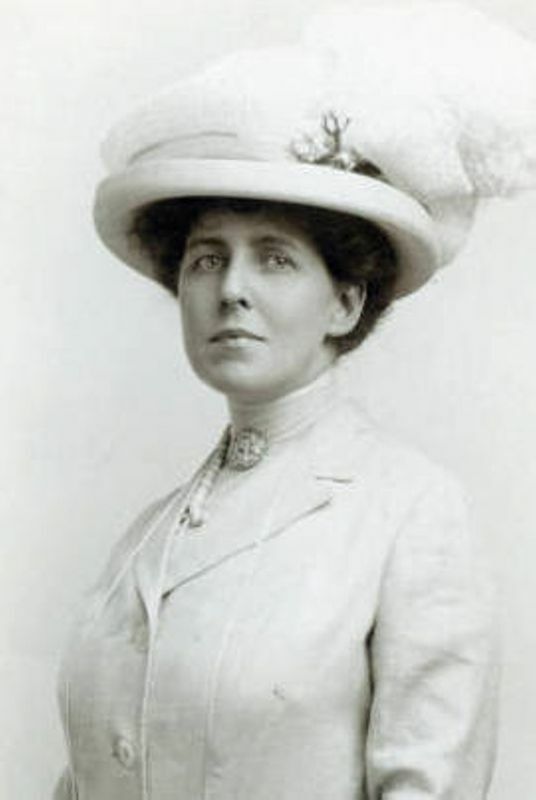 McClung, Frances A. Merritt (1852-1913) (“Fannie”). Isabelle McClung’s mother. Born in Cherry Valley, NY, Fannie Merritt married Samuel A. McClung in 1874, and lived with him in Pittsburgh, PA, where they had three children, Isabelle, Samuel Jr., and Edith. In 1901 Isabelle McClung invited Cather to reside in the McClung family home in the Squirrel Hill neighborhood of Pittsburgh, and Cather lived there until her 1906 move to New York City, often returning there to write. Fannie McClung died suddenly at home after an illness of a few hours.